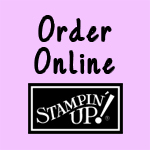 From NOW through August 9th I am offering 10% OFF ALL RETIRING STAMPIN' UP! STAMP SETS!! This is your chance to get those sets on your wishlist before they're gone forever! Contact me by email at galetannerdesign@gmail.com before 10pm EST on August 9th with your order and the promo code RETIRE. In the subject line please type "Stampin' Up! Order: RETIRE PROMO". This should prevent your email from going to my Junk Mail and I will find it easier. As this is an internet special I can only accept Visa, MasterCard or Discover for payment. I can have orders shipped directly to your home, and on orders of $150 or more in product purchases you can also receive hostess benefits! To check out the list of retiring stamp sets, click here. To view an online version of the Spring/Summer 2008 Catalog click here. Due to Stampin' Up! guidelines, I can only sell to customers in the USA. I apologize for my recent absence. Summer sure does seem to fly doesn't it?! I have spent every free moment for the past few weeks working on my stamping studio. It is just about finished and I am proud to say that I have actually done some stamping out there! I have a lot of stamping to do before the end of the week, so I hope to have some photos to upload in the next couple of days of my projects as well as some photos of the studio so far. I am planning on holding a class before the Spring/Summer catalog and idea book retires. I hope to lock down a date in the next few days and I plan to hold the class in conjunction with an open studio. There will be more details to come. Thanks for stopping by and check back again soon! !